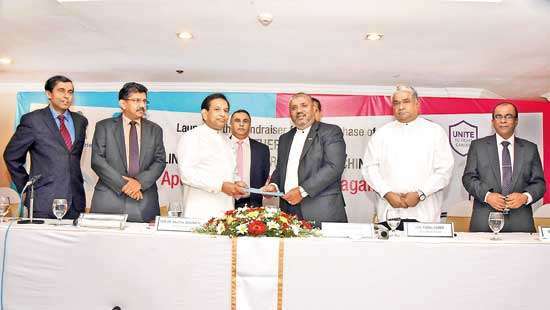 n Tuesday last, when the Cabinet of Ministers met, President Sirisena had submitted a paper requesting Cabinet Approval to hold Provincial Council Elections to the dissolved councils before the end of May 2019. 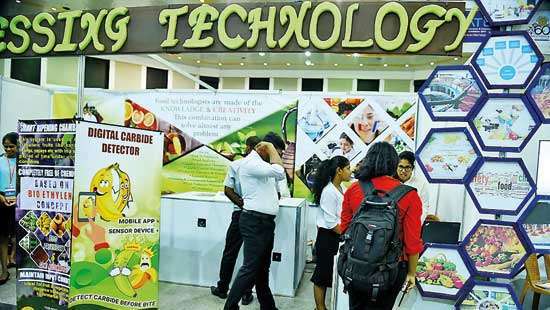 By end May, there would be eight PCs dissolved, with only Uva Province left till mid-September. 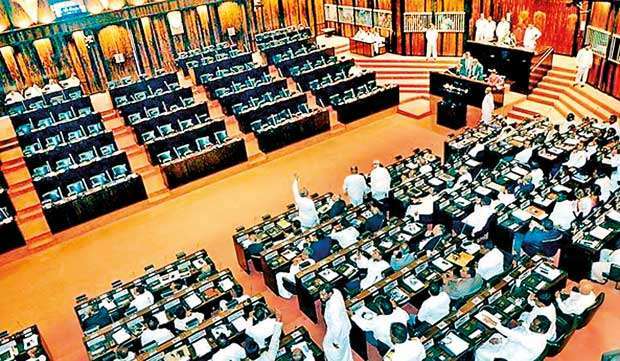 The Cabinet, consisting of only UNP Ministers, deferred President’s request till the next Cabinet Meeting and it would then be the subject of Minister Vajira Abeywardne as Local Government and Provincial Councils Minister. If the President stopped with the request to hold elections before 31 May, it would have been good and right. BUT with his proposal to have 25 per cent women representation, wittingly or unwittingly he allows space for further delay. That cannot be done unless there is yet again an amendment to the PC Elections Law. What does all this mean? Do they really want to hold PC Elections? On Friday last, Parliament was to discuss PC Elections as moved by JO strongman MP Dullas Alahapperuma. It was reported the discussion was stalled thrice during the day due to lack of quorum, until Parliament was finally adjourned for lack of a quorum, till February 5. In this Parliament of 225 MPs, the quorum is just 20 MPs. With Mahinda Rajapaksa appointed Leader of the Opposition counting all 95 UPFA MPs, the JO that wanted the discussion could not even have the 20 MPs required for the quorum for their own request. But they claim to stand with the People (sic). How much do they cost the People? On an RTI application sent to the Secretary-General of Parliament by PAFFREL, it was revealed that the cost of Parliament sitting for a single day is Rs.25 million. It simply means each of these MPs wastes Rs.1,11,111 (One lakh, eleven thousand, one hundred and eleven) at every Parliamentary sitting. That does not reduce significantly even if the Parliament is adjourned due to lack of 20 MPs attending to the day’s business. Last Friday was not the first such day the Parliament could not meet due to lack of a quorum of 20 MPs. It happened on September 6, 2018 when there were only 16 MPs. It had happened many times before. No party leader takes it seriously and has never accepted it as a serious fault, a letdown and as insulting the voter who elected them. This absenteeism, no doubt is the political decision of the party leadership in avoiding PC elections. Apart from all the thuggery and vulgar behaviour of Parliamentarians the people endured during the Presidential tantrums beginning October 26, it was this irresponsible bunch of 225 MPs those FR petitioners wanted to continue with as Parliament to save democracy. It was this Parliament, the Elections Commission memberRathnajeevan Hoole told the SC, his Fundamental Rights would be violated, if dissolved to hold elections on January 05 (2019). He now stands proudly having saved democracy with this Parliament that does not allow for PC elections that include the North, where he is a voter. It is not only political party leaders but also, the MPs and the university academic Hoole, who now stand badly exposed with their hollow statements on democracy and rights. Those urban middle class rights activists accepted as civil society by the Western Diplomatic Corps and donor funders, who took to the Colombo Streets shouting Not Ranil, but democracy have also been exposed, no sooner than Ranil Wickremesinghe was sworn in for the second time as PM. 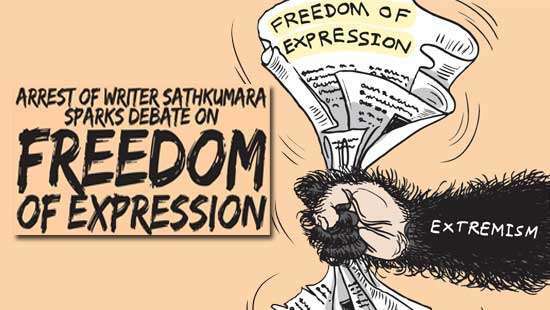 They stand exposed more after they stormed into preselected media houses taking over PM Wickremesinghe’s lashing of media as black media. Where do they stand on PC elections? Elections left on hold for over one year in the Eastern, Sabaragamuwa and the North Central Provinces and for over three months in the Wayamba, Central and the Northern Provinces have nothing to do with their democracy. Indefinite postponement of those elections does not mean any violation of sovereign rights of the people, for them to come on the Colombo streets as they did three months ago. This Colombo middle class lot who were very vociferous then were not there with the Maduluwave Sobhitha Thera’s movement for a Just and Fair Society. For that change Sobhitha Thera thought could be brought with the abolition of the Presidency. These urbanites came for the 2015 January election to defeat Rajapaksa and not for any change of politics. With Rajapaksa out, rest is fine for them. They’ve therefore given campaigning for democracy a new synonym; stooging. The biggest stooge among the lot was exposed last Monday (28 January) at the media briefing held by the Elections Commission (EC). None expected Chairman of the EC to demean himself saying, he would resign from the Chairmanship and not from the EC, if PC elections were not held before November 2019. Why till November? Why not before end May as the President has proposed? And why only from the Chairmanship and not from the EC? Does he expect he would be appointed Chairman again? His primitive efforts in bluffing through the media briefing apart, he and the two members were wholly silent on why the EC cannot hold PC elections under the prevailing law, PC Elections Act No.02 of 1988. On 19 January I wrote to Chairman EC a letter captioned “Illegally postponing elections for dissolved Provincial Councils” that was also sent to all media. In that, I said the PC Elections Amendment Act No.17 of 2017 though passed in Parliament is still not law, as the Review Committee headed by PM has not handed its report to the President within the required two months period for the bill to be Gazetted as law. Thus, it is clear and with no ambiguity, the new law would come into operation someday the Government believed it could face an election and till then the former written law is not repealed. Now to quote from the English version of the Sinhala letter, I wrote to the EC Chairman, “Therefore, the PC Election (Amendment) Act No.17 of 2017 still remains ineffective and inoperative as law. It is common knowledge that PC elections, therefore, cannot be held under that new Act. What is not told by you is that the previous Act No.02 of 1988 still remains operative, as this new Act is yet to be validated after completing its due process. The EC can therefore legally hold PC elections under the previous Act which is still in operation. It is clear the EC does not need any further approval from anywhere else to have elections to dissolved PCs. The EC and its members have no legitimate and moral right to deny the People their right to elect PCs till some such day the PC Election (Amendment) Act No.17 of 2017 is made operative. On the third working day after I sent my letter, the Chairman EC sent me a very short response via email that in English would read as, “While a public reply will be given at the media briefing on 28 January 2019 to the issue you raised, the relevant reply will be sent to you via email. Appreciate your interest in holding elections in due time”. Three whole working days are gone after the media briefing, until last morning, I have not received the reply he said he would send. The big bluff he is, he did not in any way respond to the issue I raised in my letter and said he would publicly respond to. Therefore my accusation the EC with its Chairman and the other two members are stooging for the Government, in allowing indefinite postponement of PC Elections stands firm and tall. The EC should hold elections immediately under the existing law, PC Elections Act No.02 of 1988, but they don’t. They are also with the Colombo middle class, blowing hot or cold as the UNP wants. The EC is not an IndependentCommission and is not there to safeguard the rights of the people. The members of the EC too like the funded Colombo civil society believe politicalstooging is part of democracy. Sadly for all of them, they don’t seem to know the story of the king who walked the streets naked, thinking he was wearing the best attire in the world. The elections for the PCs thus depend on how Wigneswaran and his TPA would see them as important for their own identity. 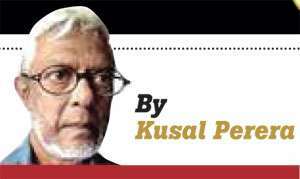 In how the SLPP and Rajapaksa would see it as important for their politics in months to come. All others would wait for an opportunity to file FR petitions seeking stay orders against any election before November, in the name of democracy.